Website: Check us out on Facebook! The tour is a flexible course - from 3-16 miles (or more if you're up for it!). Official map coming soon! 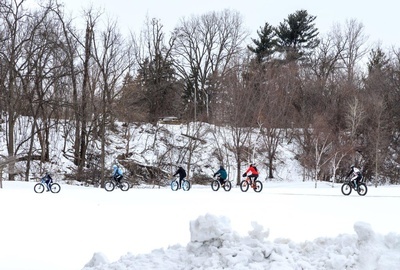 All registered riders will receive a swag bag and be entered into a drawing to win a fat bike. I understand that Fired Up! 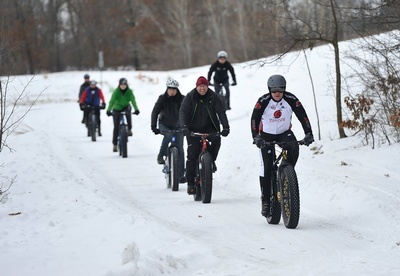 Fat Bike Tour entry fees are not refundable or transferable to others. I agree to wear a properly fitted hard-shell bicycle helmet at all times when riding a bicycle in the Fired Up! 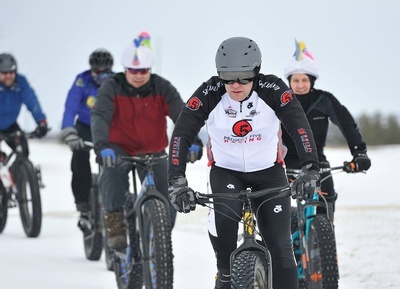 Fat Bike Tour event. By my entry into this event, I hereby accept its inherent risks and certify that I am physically fit and able to participate. I grant my consent to any duly authorized doctor or medical personnel to provide me medical treatment in response to any accident, injury, or illness during this event. I hereby waive and release any and all claims for damages, including negligence claims, death, or any injuries incurred as a result of taking part in this event against the Lake City Chamber of Commerce, City of Lake City and The Jewel Golf Club, its officers and employees; and any and all other organizers, sponsors, officials, vendors, volunteers, and associated entities, with their heirs and assigns, singly or collectively. I grant permission without obligation or liability for the use of my name, image, or other record of me taking part in the Fired Up! 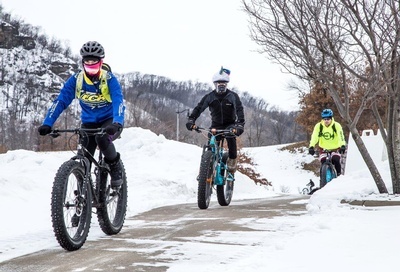 Fat Bike Tour for promotional purposes. I agree to obey any applicable traffic rules; to heed the direction of public safety officers and event officials; and to ride and conduct myself with due caution and respect, so as not to endanger anyone or disrupt the enjoyment of fellow bicyclists, motorists, or others. On Monday, January 28, 2019 prices increase to $40 for an individual and $140 for a team of 4 so register early!